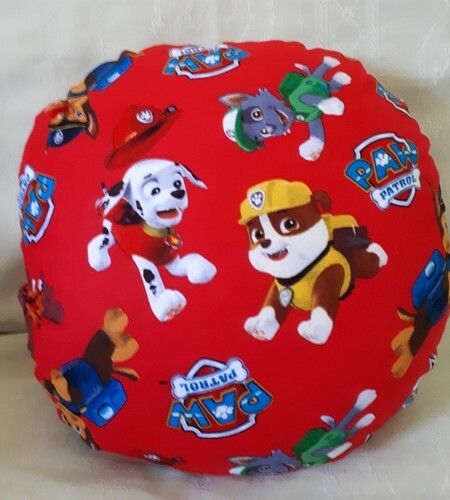 This round cushion is a great addition to any child's room and also good for the car. 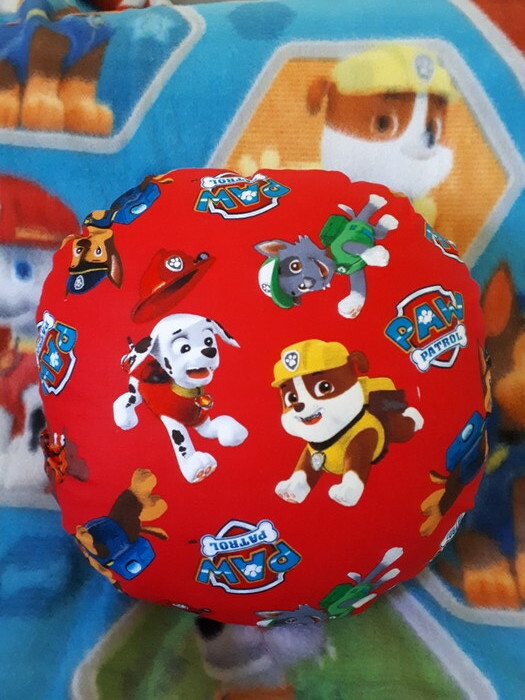 The Paw Patrol fabric is 100% cotton. It is backed with a red and white zig zag fade stain and water resistant outdoor fabric which is very durable. 100% Polyester. 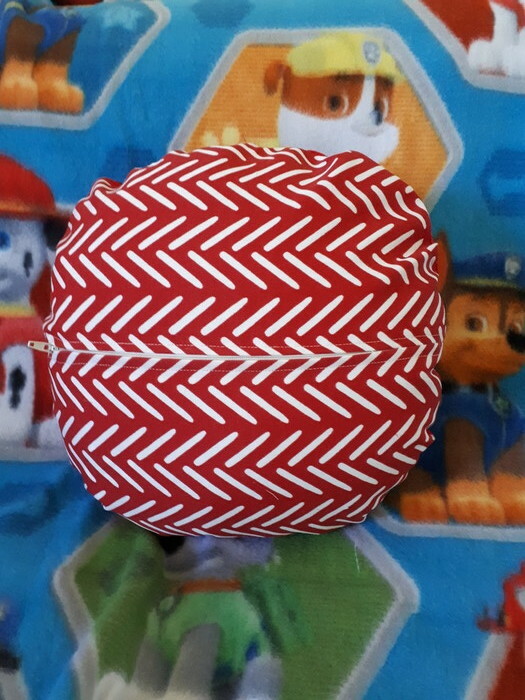 This cushion cover has a zipper.